PARTNER NEWS: Tokenization and mobile payments specialist Bell ID has been acquired by chip maker Rambus. Bell ID will form part of Rambus’ Cryptography Research division, which specialises in embedded security solutions including tamper resistance, content protection, network security and secure payment and transaction services. “Rambus’ investment in the Bell ID platforms will help us to enhance the support we provide to our valued customers and partners, further strengthening our position at the forefront of the secure mobile payments ecosystem,” Bell ID chief executive David Orme writes in a blog post. “Our customers will not experience any immediate changes to the way we do business. Sunnyvale, Calif. – 25 January 2016 – Rambus Inc. (NASDAQ:RMBS) today announced it has acquired Smart Card Software Ltd which includes Bell Identification Ltd (Bell ID) and Ecebs Ltd (Ecebs) through the purchase of all outstanding shares of Smart Card Software Ltd., for £64.7M in cash. As part of this acquisition, the advanced mobile payment platform developed by Bell ID, along with the smart ticketing platform created by Ecebs, will be incorporated into the Rambus Cryptography Research division. Rambus expects the acquisition to be accretive to pro forma earnings within the first 12 months. Bell ID is a recognized leader in mobile payments. 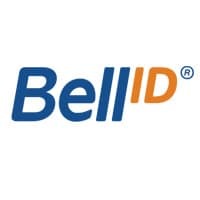 The technologies created by Bell ID include a full suite of mobile payment solutions that support cloud-based services using host card emulation (HCE), EMVCo tokenization (TSP), trusted services management (TSM) for SIM-based projects and embedded secure element solutions. Ecebs is a leading supplier of smart ticketing systems to the UK transport markets and has developed software to meet the growing demand for cloud-based, secure ticketing schemes, which can open up lower cost smart ticketing to a wider market. These technologies and solutions will support the Rambus Cryptography Research portfolio of products and services, providing a broad range of secure provisioning and management solutions.